Zadig & Voltaire’s A/W 2017 catwalk at New York Fashion Week sent out a loud and clear message that girls can do anything. This iconic slogan has now become the name of a distinctive scent, which perfectly embodies the values of the Parisian fashion house’s new feminine fragrance. 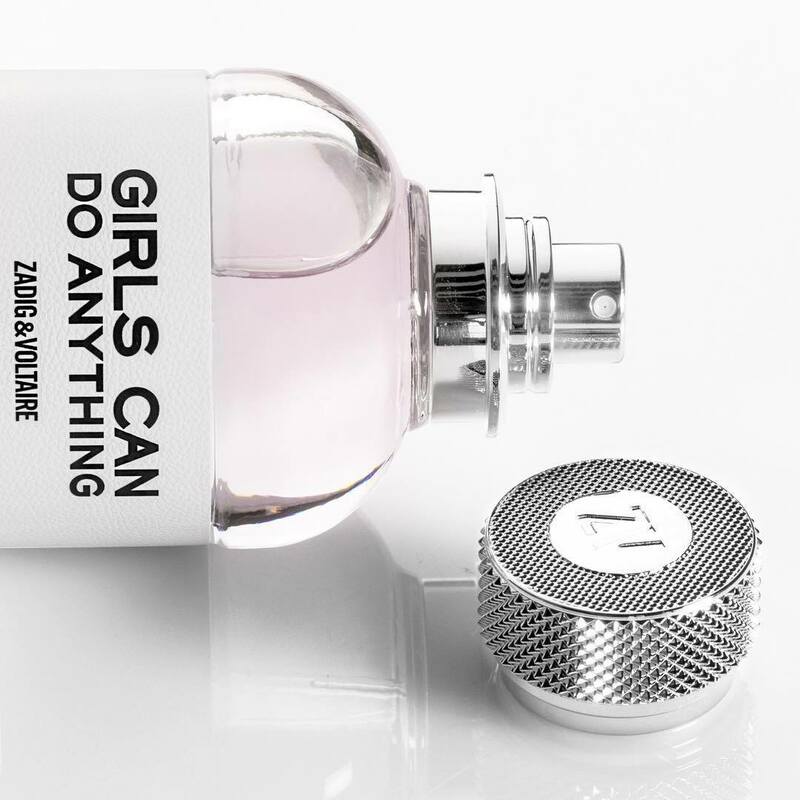 Introducing ‘Girls Can Do Anything,’ the new fragrance from Zadig & Voltaire. As its name suggests, the scent symbolises liberation from norms and a new form of femininity: one that is free, uninhibited and impertinent. ‘Girls Can Do Anything’ is made for the woman who breaks free from conventional opinions in the blink of an eye. The woman who carelessly throws convention to the wind. The woman who dares the unexpected and overthrows the established order. The scent features a bold fern twisted by a delicate pear and Tonka bean duo and exalted by a musk-infused vanilla. Enclosing this pale pink-hue fragrance is a timeless crystal-clear bottle topped with an embossed metal cap resembling a vintage car accessory. To celebrate the arrival of their latest fragrance, Zadig & Voltaire are holding an in-store competition where you have the chance to win your very own 90ml bottle valued at $165. To enter, visit the Zadig & Voltaire store from Friday 16 – Sunday 18 November. Zadig & Voltaire is located on the Ground Level.